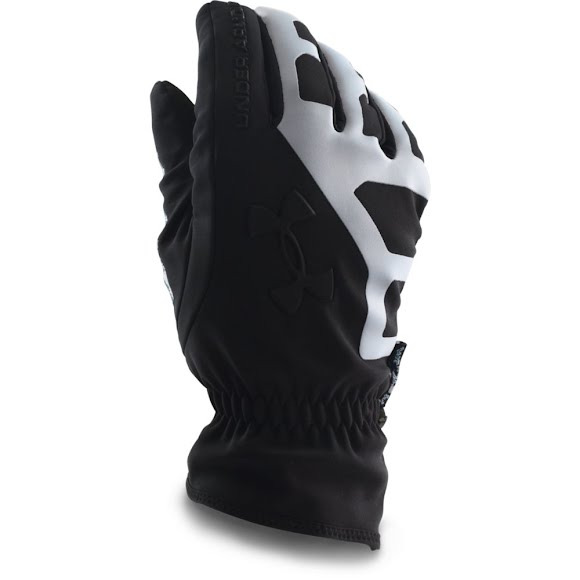 Great durability meets ultimate performance with Under Armour men's ColdGear Infrared Storm Stealth Glove. The Storm Stealth features windproof construction shields you from the elements. UA's signiture ColdGear Infrared technology uses a soft, thermo-conductive inner coating to absorb & retain your own body heat. Great durability meets ultimate performance with Under Armour men&apos;s ColdGear Infrared Storm Stealth Glove. The Storm Stealth features windproof construction shields you from the elements. UA&apos;s signiture ColdGear Infrared technology uses a soft, thermo-conductive inner coating to absorb & retain your own body heat. UnderArmour&apos;s signature highly water-resistant performance fabric that repels rain and snow for all weather training! ColdGear Infrared uses a soft, thermo-conductive inner coating to absorb and retain your own body heat.